Grommets would fix Jenny's three-year-old's hearing fast. At what cost? "He’s not deaf, not even partially. " How Jenny found out why her three-year-old son couldn't hear her. ‘Over there,’ I say, tapping at the side window before quickly returning my hand to the wheel. We’re driving past road works. There’s a lowered speed limit, which I’m obeying but some other cars aren’t. There are trucks—really big trucks—and there’s a concrete wall a few centimetres to our left. ‘I don’t know. Please stop crying,’ I say. We keep this up, or variations on it, all the way to Ballarat. Ninety minutes of me shouting, my son aged three-and-a-half not catching my words, or my not understanding his, which is worse. Over the past few months he’s developed an aversion to repeating himself and a sense of frustration at not being understood, in equal measure. So we drive and shout and occasionally scream (mostly him) and I try to speak clearly and slowly in order to develop his phonics and to show him the cows and horses and clouds and diggers, and try to not crash while I’m doing it. His hearing loss is at 40 to 55 decibels down, depending on the ear and the tonal range of the sound. He has a common, treatable condition known as glue ear—basically gunk blocking his ears after infections as a baby. He’s not deaf, not even partially. He just can’t hear very well. Six months ago his wonderful childcare centre mentioned that his speech wasn’t developing as it should. His vocabulary and comprehension were fine, so we went for a hearing test. ‘Mild conductive hearing loss’ was the assessment—borderline for speech development. Come back in three months. The audiologist told me that glue ear will always eventually clear itself as the child’s facial structure matures. The child may be seven by then. So a few days before our drive to Ballarat, our GP referred us to an ear, nose and throat specialist (ENT) to discuss treatments, including grommets. These are basically a tiny tube inserted in a hole punched through the gunk and the eardrum itself. Sound travels through the tube to the inner ear. Problem fixed. They also require surgery with a general anaesthetic, can cause pain and bleeding, and prevent the child from swimming unless waterproof earplugs are fitted. (He loves the water.) There may be other options, but grommets seem the most likely to be recommended by the ENT; right now we’re waiting for our appointment to come around. 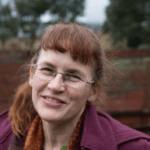 Between the two hearing tests, I read an article by Belinda Barnet, a Melbourne academic with a special interest in how technologies affect humans. 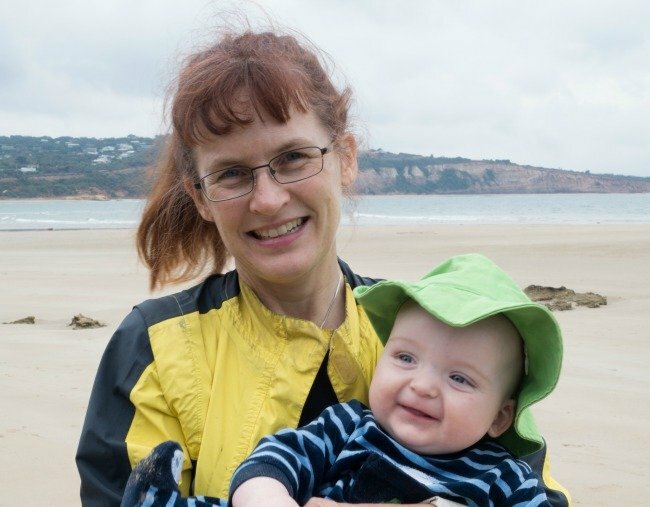 She wrote about the decision to fit her congenitally deaf baby with a cochlear implant—an invention pioneered in Australia—and the way the deaf community responded to her decision. Deaf community advocates see the wave of surgeries on very young deaf children as treating them as pathologically deficient. Children should be allowed input into the decision to augment their hearing, they say, and ‘fixing’ deafness is an attack on the culture of deaf people and their community’s language (sign, or in Australia, Auslan). There’s even an ‘ism’ for it: audism, or the privileging of the ability to hear. This community can be tight-knit; in Seeing Voices, Oliver Sacks describes visiting a university for the deaf, writing that it was ‘an astonishing and moving experience … there was something very joyful, even Arcadian’. For Barnet, who was born deaf on one side before cochlear implants were an option, the right decision was to give her child ‘the gift of speech’. She believed that early intervention, while her daughter was going through stages of acquiring language, was needed. But her article, and the extensive and mostly thoughtful if fiery comments below it, made me wonder what we were thinking of doing. The grommets offer a fast fix. We’ll be able to cut back on the speech therapy. We can stop shouting—speaking more loudly to a child sounds simple, until you’ve done it all day, in public places. Shouting, I think, is like smiling, in that it changes your mood to match what your body is doing. It makes you angry. When I speak to my son loudly and with artificial clarity, I feel like I’m talking down to him. Every parent knows how it feels to be sick of the sound of their own voice; try it at double volume. In his book Far from the Tree, Andrew Solomon zeroes in on the way disability—and many other forms of difference—is constructed. Disability, he writes, is the difficulty faced by people with physical and mental differences—he calls them impairments. The condition is part of the person. Disability comes when that person seeks to interact with a world that won’t accommodate them. Solomon offers the observation that having a child who isn’t what a parent expected tests and possibly expands the parent’s capacity to accept difference in general. Because parents love, and if they can’t change the child, they have to change themselves. Solomon would call the surgery we’re contemplating an ‘optimising intervention’. Barnet chose to optimise: ‘Implanted children are Deaf children with an extra ability,’ the cyber theorist wrote. There’s no question of whether we’re shutting our son out from a community he was born into; he’s not deaf and in time will grow out of it. So he needs to be able to speak and comprehend in the way non-deaf people do. Even if the glue ear persists for years, we could achieve this by intensive speech therapy; by wording up everyone he interacts with (but how do you do that with other small children?) and by always getting down to his level and speaking loudly and clearly into his left ear. You could make an argument that inflicting surgery on a child to avoid all that is just lazy parenting. Then I think of the other things—the frustration when his playmates don’t understand him, the feeling of exclusion that might bring. The sound of birds outside the window. The feeling of being included in conversations. I think of the easy, casual interaction you have when you’re cooking and call out something over your shoulder to a kid who’s watching TV, and he answers the same way. Or when you’re driving along the road and say to your child: ‘Look, a digger’ and it doesn’t end in tears. I hear of friends of friends whose children have had grommets inserted. ‘A whole world opened up,’ one friend tells me. Meanwhile, my file labelled ‘R’s hearing and speech’ fattens with therapy exercises and information sheets with full-colour illustrations of the middle ear. I’m a tourist in all of this. It’s the smallest, lightest brush with disability—the stares in supermarkets as I shout at my child, the appointments, the homework and the anxious monitoring of progress. We have an easy way out, which we’ll probably take. One of the comments on Barnet’s article nags at me: ‘I’m deaf. I function in society. It’s pretty wearing and tiring. I’d rather it wasn’t.’ This person is not wishing he or she wasn’t deaf, though they may wish that. I don’t know. But they are wishing it wasn’t so hard to get along in the world when you’re even a tiny bit different. This is an edited extract from the spring edition of Meanjin, out 18 September from MUP. RRP $24.99, eBook $12.99.